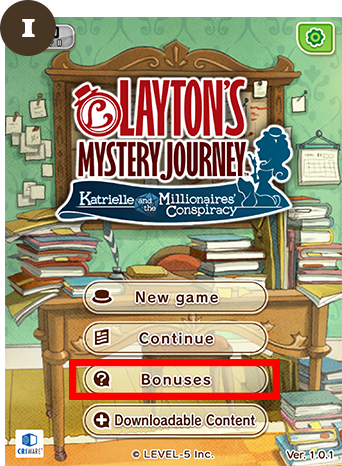 There are more puzzles waiting for you in LAYTON'S MYSTERY JOURNEY: Katrielle and the Millionaires’ Conspiracy than any previous title and it doesn’t end there! 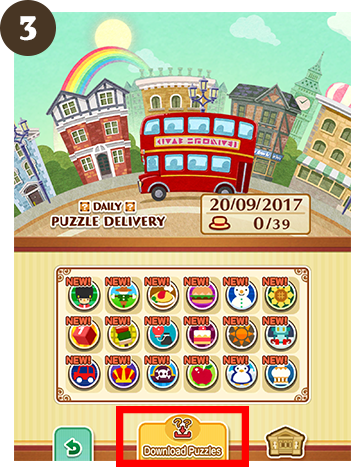 You can access a brand-new puzzle every day for a full year from release date. Bonus puzzles are just for fun, so they won’t contribute or detract from your picarat score. 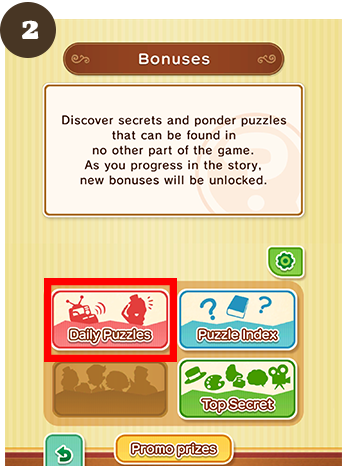 Select “Download Puzzles” to acquire the daily puzzles. Over 10 outfits for Katrielle! Use “Special Coin(s)” you earn or find by playing the game and trade them in for your favorite outfit(s). Select “Downloadable Content” from the title screen and purchase your favorite outfit(s).